It's day 3 of 2018 and we are already embarking on our next project: the hallway closet. Picking a space was a toss up between the hall and the full bathroom and as usual I didn't decide until yesterday which space we'd take on for the January season. They are the only two spaces completely untouched since we moved in - and boy can you tell when you walk by it. 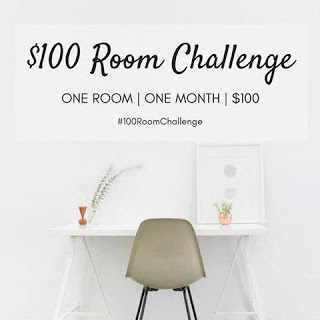 It's the 4th season for the $100 Room Challenge and we have more bloggers participate every time. This is our third time participating, the first time we remodeled the half/master bath and last time we refreshed the carport. Over the next four weeks and with only $100 we will be transforming this dingey eyesore into a functional and pretty space (fingers crossed). When we moved in there was half a sliding hollow-core door, leaving half the closet awkwardly open. 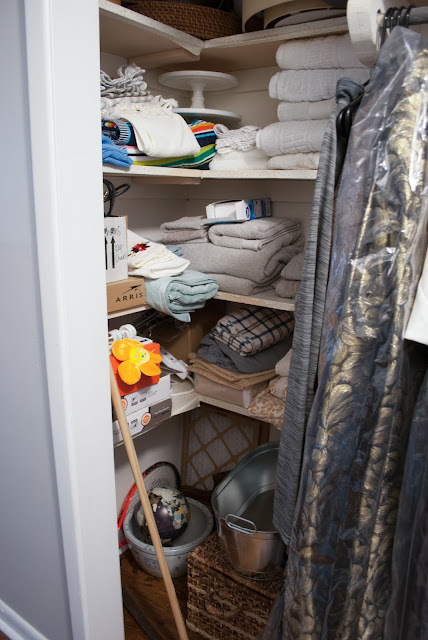 We knew we were going to use this space all the time since it is one of our main storage areas so we decided to ditch the door and opt for more accessible storage. The functionality has worked fine, but obviously it isn't as organized or as pleasing to look at as it could be. 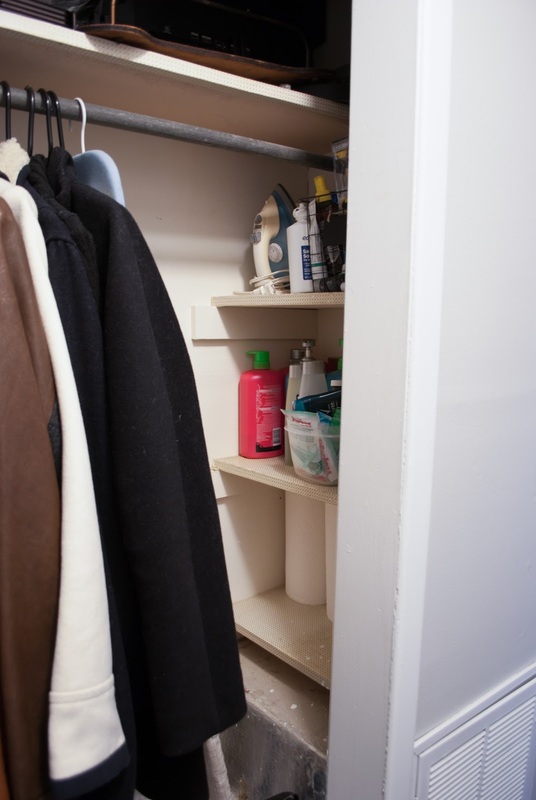 This closet stores everything from our winter coats to our everyday bathroom towels. Over the past year it has just collected things that had no place. We wash our towels separately from our regular clothes and the floor has somehow become our towel hamper (only dry towels), ew! Right now I'm breaking down what collections have naturally formed and what actually needs to be stored here. The plan right now is paint, lots of paint, and organization. This challenge is open to all bloggers and social media'ers who are willing to get their creative side on and stretch $100 as far as possible. You can follow all the bloggers by the links below and also with #100RoomChallenge on social media. We're a pretty cool group who is adding more talented participants every time. A big thank to Erin from Lemmons, Lavender, & Laundry who created the challenge and hosts it every single time! I'm looking forward to seeing how you transform your closet! Thanks Em, I am too haha. Hopefully it'll be a little more functional! Thanks Gabby! This will be my first closet makeover that's not specifically for clothes so hope it turns out alright haha. 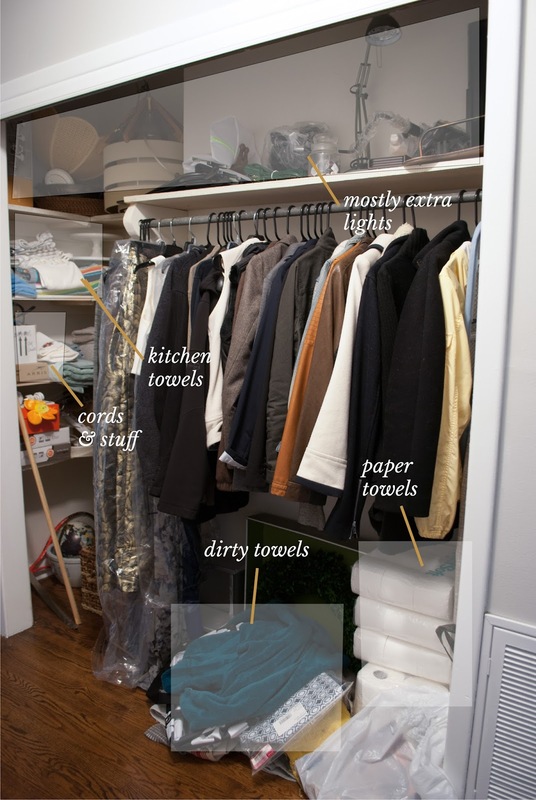 I love a good closet organizing project! I can't wait to see what you do with yours! Thanks Meredith! So many ideas floating around in my head - we'll see how it turns out! Looking forward to following along and see what you do! Thanks Maria, same with your closet!! 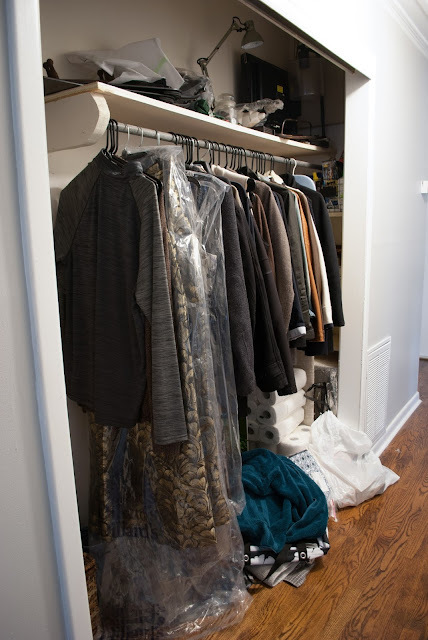 Ah, closets are so good at becoming the collect-all for, well, everything! I can't wait to see how you update this space. YES. Hopefully we can pare it down and make it functional AND pretty haha. I'm really excited to see what you do with this space - I've got a closet make-over coming up and I'm desperate for ideas! So fun! Thanks Kim! 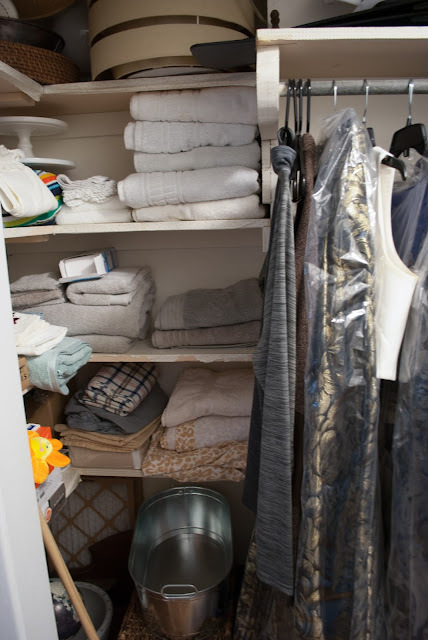 Haha I am desperate for ideas too XD There's only a few "modern" linen closets out there so we'll see if there is any good inspiration photos for next week. Your closet has a lot of function already built in, so that's a great help. 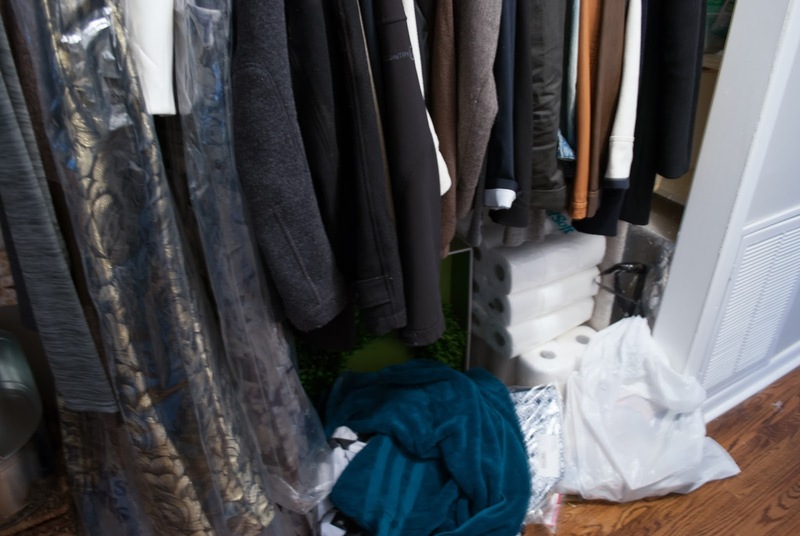 I can totally relate to the pile up of stuff that ends up in our closets, so I'm excited to see what you do. It does, really all we're doing is adding storage options. Totally! Oh I bet it will be so nice to get it all organized for the new year! You have some great storage space there though. Can't wait to see it! Exactly! Just need to add some functional storage options. You are so brave to take the door off, I wouldn't want anyone to see our hall closet;(, it's awful! Maybe I will work on it next challenge! I can't wait to see what you do and am hoping to pick up some organizational tips! Haha! That was one of the first thing I did on all our closets and Auston thought I was crazy. 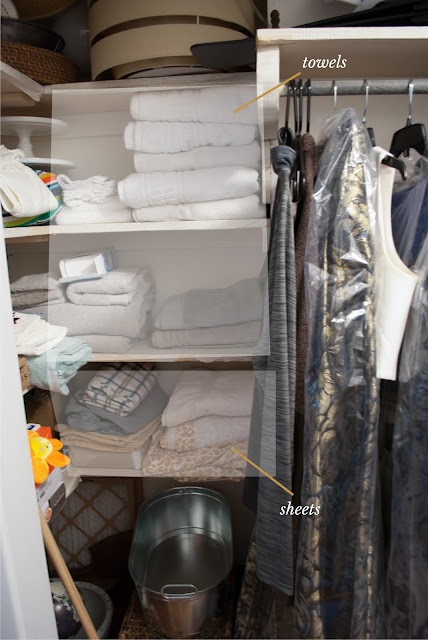 Seeing things organized motivates me to keep it organized - which is why I love open! 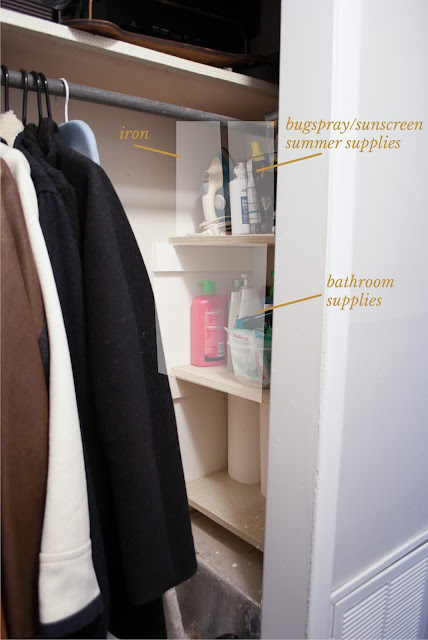 You always blow me away with your $100 room makeovers and I can't wait to see how you transform this hall closet!! It's such a large space and looks like you get a lot of room in there which is awesome!! !